The series is from Gaumont International Television and executive producer Eli Roth. Hemlock Grove is based on Brian McGreevy’s novel of the same name. Showrunner Charles H. (Chic) Eglee will return for the ten-episode final season, which is slated to stream on Netflix beginning October 23 2015. 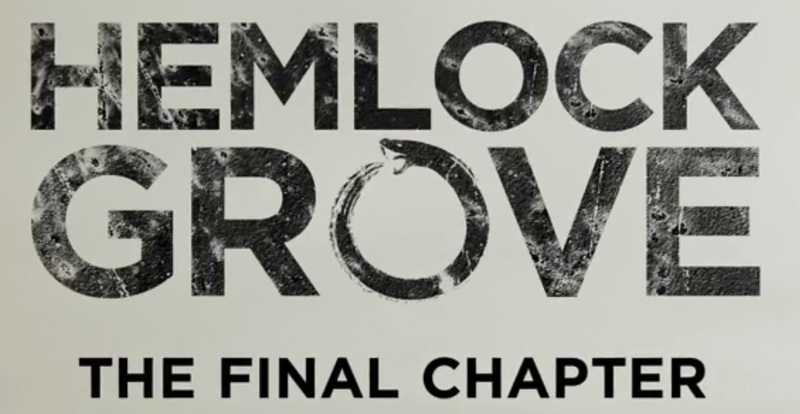 In the second season, the town of Hemlock Grove continued to come to grips with the shocking massacre incurred by one of its deadliest creatures. Roman (Bill Skarsgard) and Peter (Landon Liboiron) faced new responsibilities and the realities that come with adulthood. Roman struggled with his relationship with his mother (Famke Janssen) as he wrestled with his unwanted Upir birthright and the disappearance of his sister, Shelley (Madeleine Martin). Peter moved in with Destiny (Kaniehtiio Horn) and was forced to get a job after his mother was sent away. 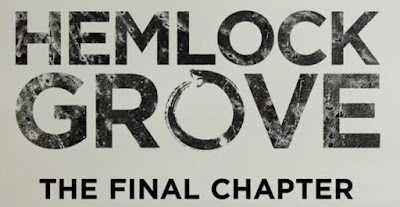 Meanwhile, in search of a new life, newcomer Miranda Cates (Madeline Brewer), embarked on Hemlock Grove with an unknowingly profound effect on Peter and Roman. And Norman (Dougray Scott), still reeling from the loss of his family, faced the harsh truth about those he loved.